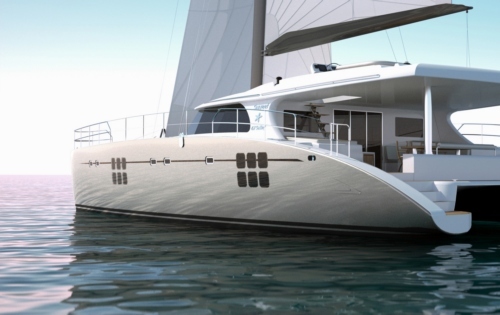 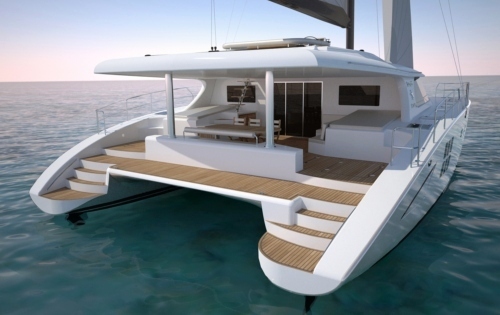 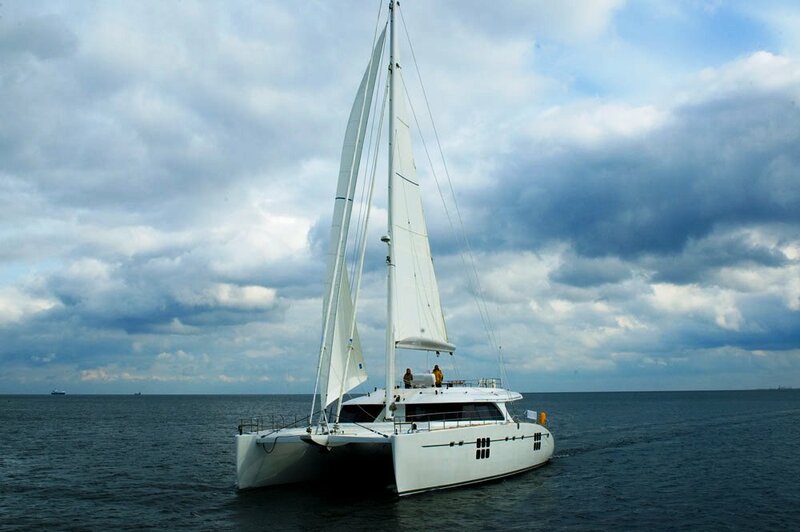 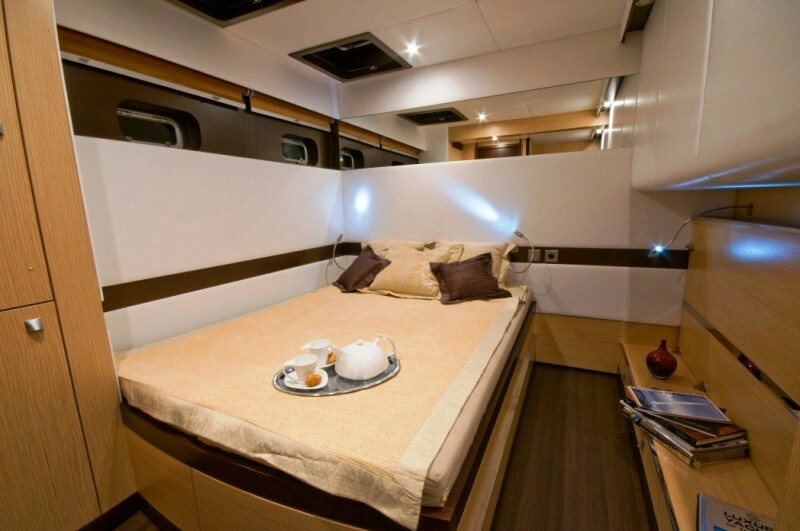 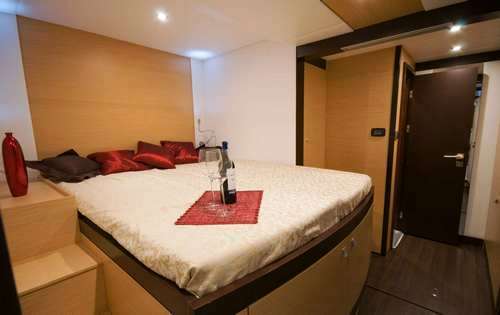 Luxury 2008 Sunreef 70 Catamaran BLUE GURU can accommodate 8 to 12 guests in 5 cabins, two of which can easily be converted into triples. 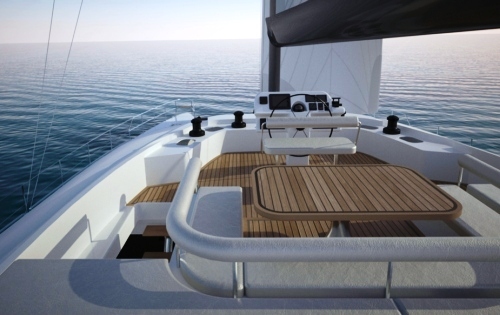 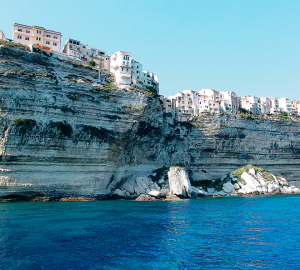 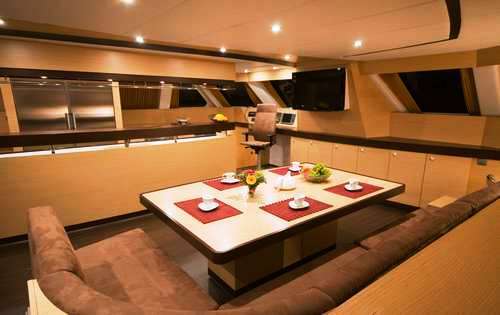 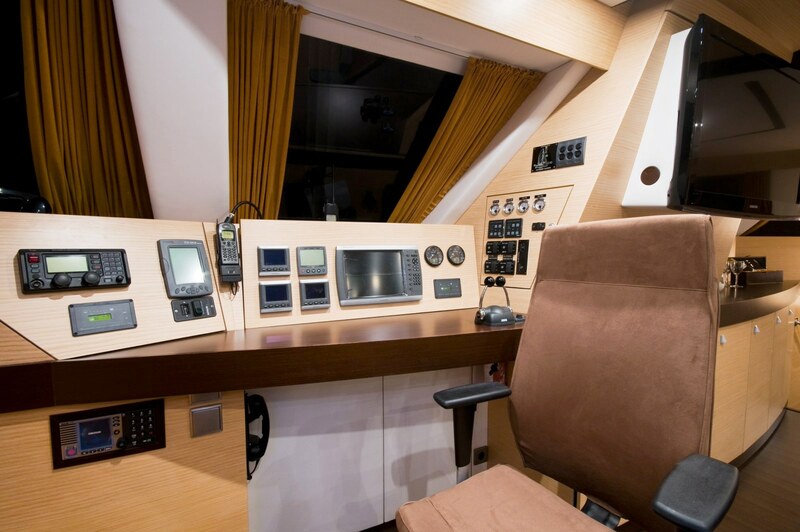 She is available for yacht charters in the Mediterranean and Caribbean. 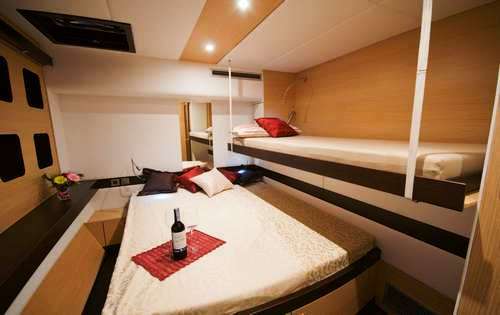 During the summer, she is based in the beautiful Island of Palma de Mallorca and is legal to charter in Spanish waters. 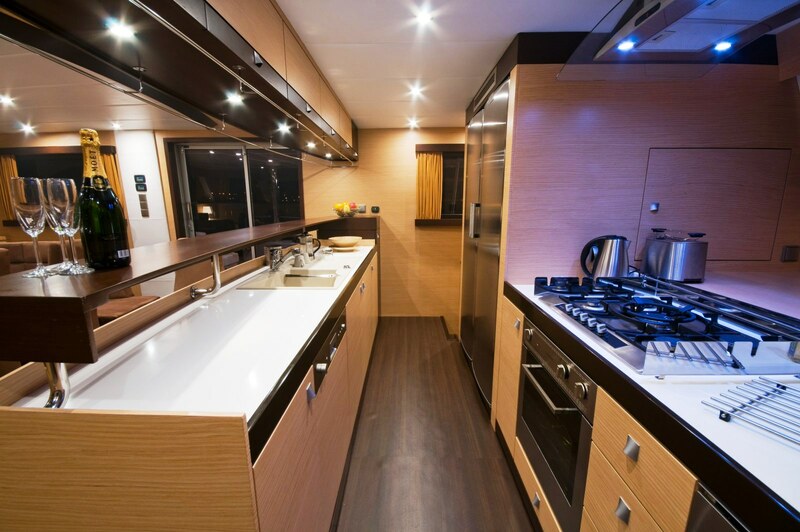 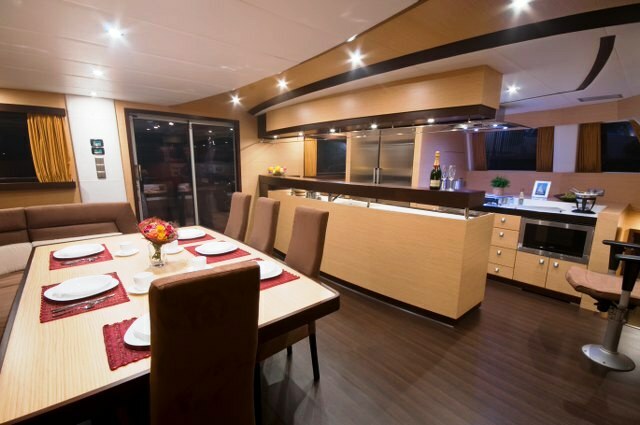 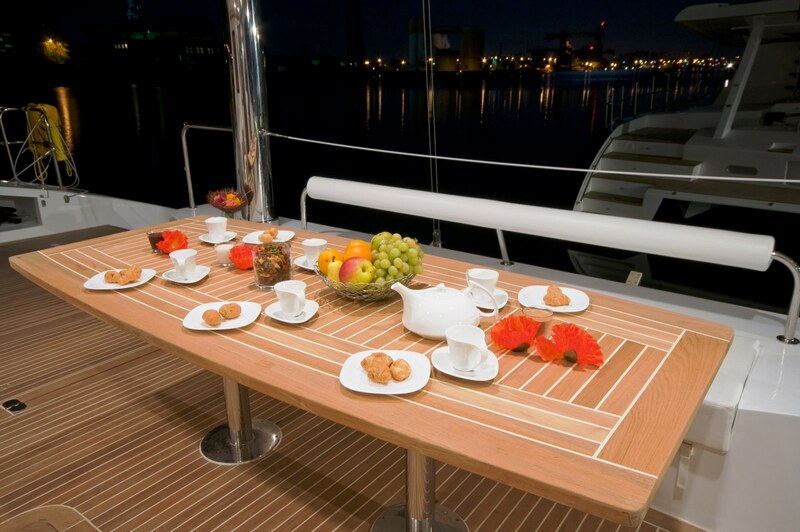 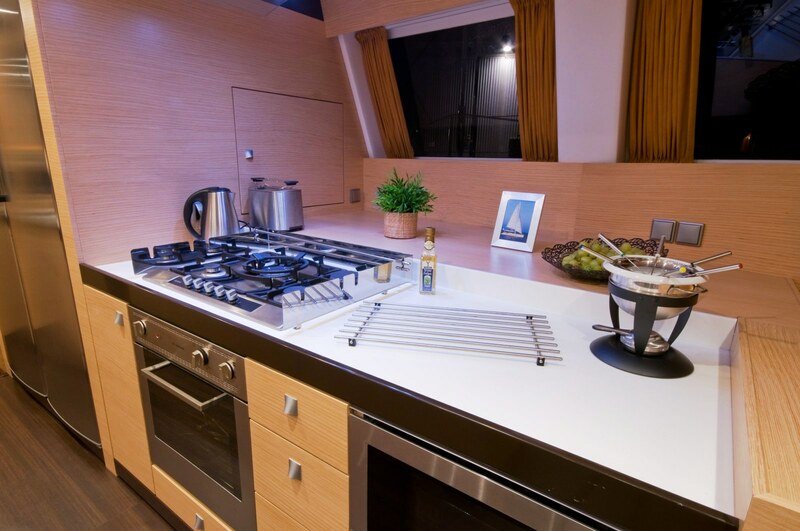 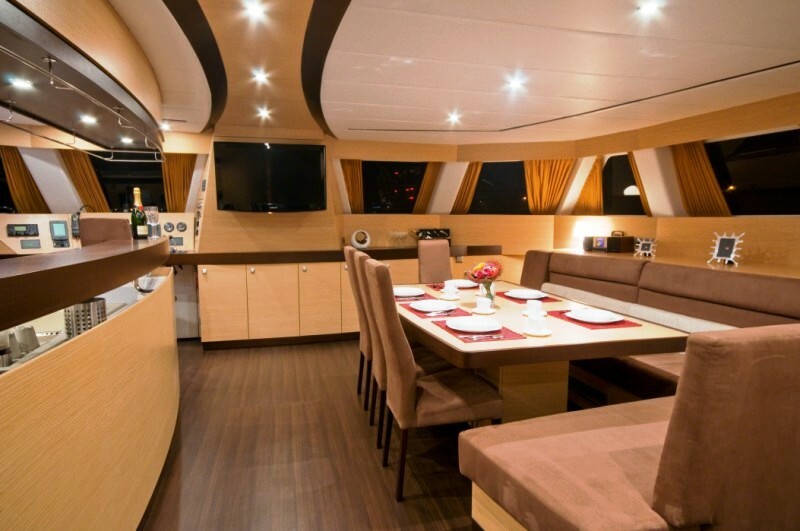 Delicious meals prepared by the chef can be enjoyed on the inside dinning table with an L shaped sofa and free standing chairs or outside on the spacious aft deck. 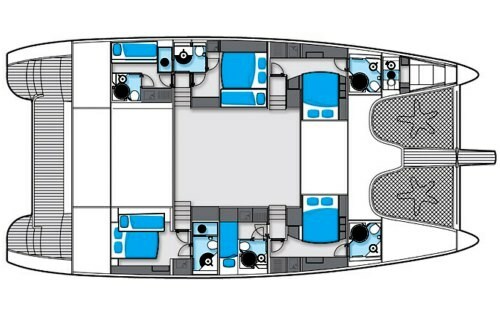 Spain based Blue Guru has the following Tenders & Toys and Leisure equipment: A Tender 4.20 m with Suzuki de 50 CV engine, Diving Compressor, Diving Equipment (6 pax) (*), Ski for adults and kids, Kneeboard, Kayak, Snorkel Equipment, Wakeboard, (*) diving license required.